Is your little girl always ready to save the day? Does she catch your coffee mug just before it tips all over your crisp, white work shirt? Does she find your keys time and time again? Will she remind you not to text and drive? Can she convince her little brother to eat his spinach? If so, you’re not living with a mere mortal. You know it, her teachers know it, heck, even the dog seems to know it: that’s right, your golden gal is a freaking superhero. Now, let her soar above Metropolis like no other in this Kids Supergirl Tutu Costume! 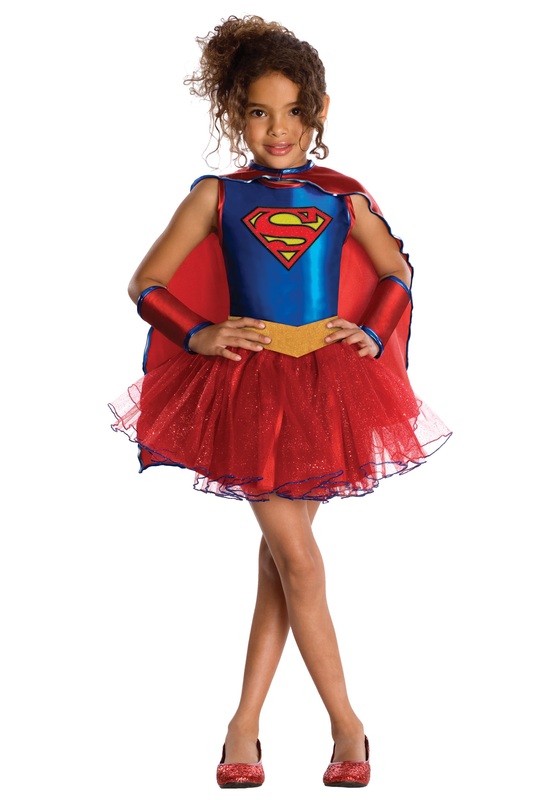 With vibrant red tulle lace and all of the costume details you'd expect from a Kryptonian lady, she can use her newfound look to enhance her powers and take out the band of neighborhood ruffians that have been hoarding all of the trick or treat goodies. Or perhaps she’ll finally stand up to the school bully on behalf of her younger classmates. Her capacity for good is, after all, unending. And what better way for her to show off her inherent heroism than by rocking the classic Supergirl “S” in hues of blue, red, and gold? Bring truth, justice, and fair distribution of treats to the entire neighborhood with this kid's costume! C’mon...hasn’t she earned it by now?